SA2 is split into two campaigns: Hero (featuring Sonic, Tails, and Knuckles) and Dark (Featuring Eggman, Rouge, and Shadow). 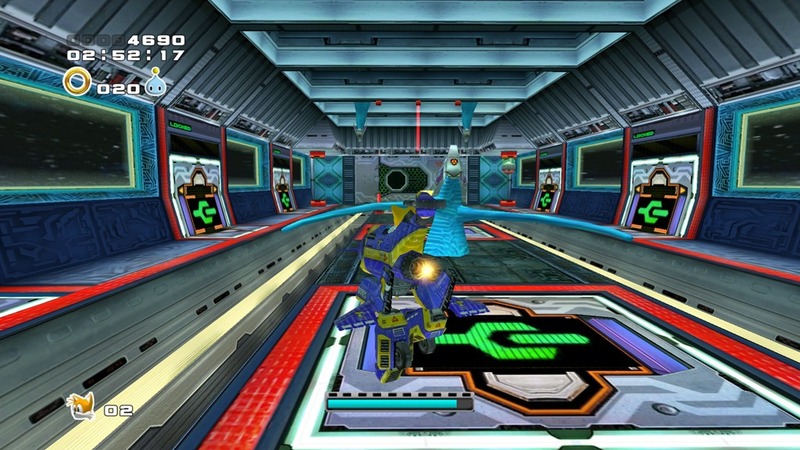 While both stories hit many of the same points and run alongside each other, they each have their own unique stages with little asset re-use (with some exceptions). 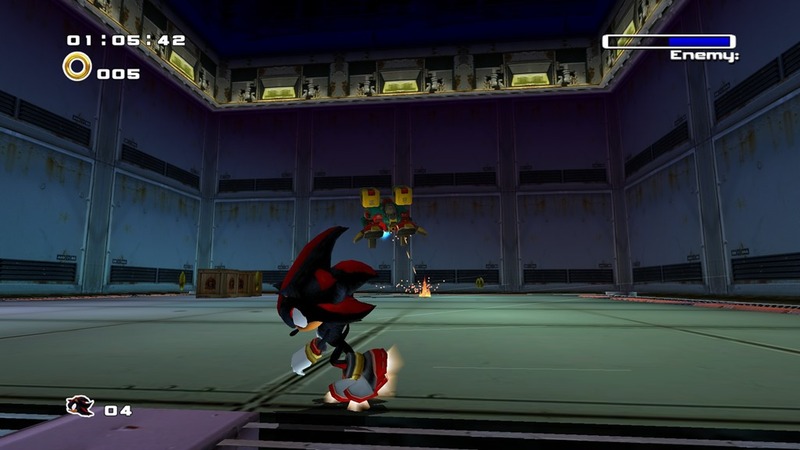 In addition, SA2 boils down SA1’s many gameplay modes into 3 stage types: Action stages (Sonic/Shadow), Treasure Hunting Stages (Knuckles/Rouge), and Mecha/shooting stages (Tails/Eggman). The first thing that struck me about SA2 was how good it still looked. I was worried my memories of the game’s graphics would be tinted, as so many early 3D games were, but SA2 still looked sharp and detailed, despite its low poly-count. The use of photo textures may seem cheap or feel like cheating on some level, but it set it apart from its contemporaries and benefited the HD re-release greatly. The music also stood the test of time, even as silly as some of the vocal tracks may be. Led by long-time Sonic music producer Jun Senoue, SA2’s soundtrack combines a variety of genres, artists, and vocalists to create a varied soundtrack for a very varied game. From Sonic’s rocking guitar tracks, Knuckles’ hilarious raps, or Shadow’s more electronic-sounding stage themes, the soundtrack does a good job of keeping the action going. 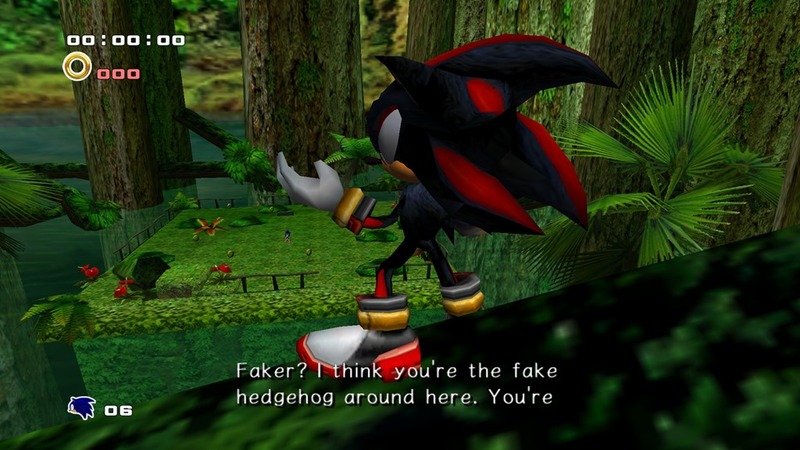 On the gameplay side of things, SA2 is more of a mixed bag. Sonic and Shadow’s stages are fast, fun, and all manage to feel unique and exceptional in their own way. Camera issues sometimes present problems, but by the standards of the era it works as well as it needs to. Knuckles’ stages are a bit more slower-paced and some may find them annoying, but I still find it fun to just fly around and look from treasure. Eggman’s stages can be trouble at times, but are overall quite fun. It’s hard to not enjoy yourself when blowing enemies up by the dozen. Where the game starts to fall apart is the Tails and Rouge stages. Rouge’s stages are mostly based around an equivalent Knuckles stage, but often with an added gimmick. These gimmicks range from forced stealth sections to strict time limits, and are at best annoying. While none of the stages feel objectively bad, they are also nowhere near as fun as their equivalent stage. They just feel like a drag and make you wish you were playing as somebody else. Surprisingly, the worst stages tend to belong to long-time Sonic character Miles “Tails” Prower, who exists as Eggman’s equivalent for the Hero story. Stomping around in a modified version of the Tornado, Tails’ stages feel like last-minute afterthoughts thrown in to balance the stories out. Virtually all of his stages are made up of re-used art assets, often with no attempt made to hide their similarity to other stages. Tails’ first level is ripped off of Eggman’s first level, his second level is stolen directly from Shadow’s opening stage, his third level is just Eggman’s second level set in the daytime, and so on. 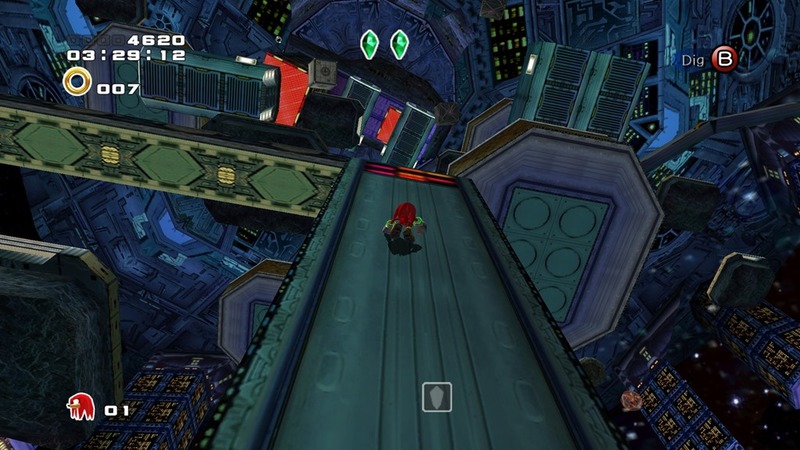 It becomes even more obvious how little they’ve done to hide their re-use when you play Eggman’s first stage, and see how much more effort they put into the stage progression and overall presentation. This would all be forgivable if the levels were fun to play, but they unfortunately do a perfect job of highlighting every weakness of the mecha stages. Poor jumping controls and dubious platforming sections lead to numerous cheap deaths as players plummet helplessly into the abyss. Enemies land cheap shots due to poor positioning and awkward targeting mechanics. By the time you’ve beaten Tails’ final level, you’re left wondering if he couldn’t get more done by just stepping out of the walker and going forward on foot. On the story end of things, there are some more road bumps than one would hope for. 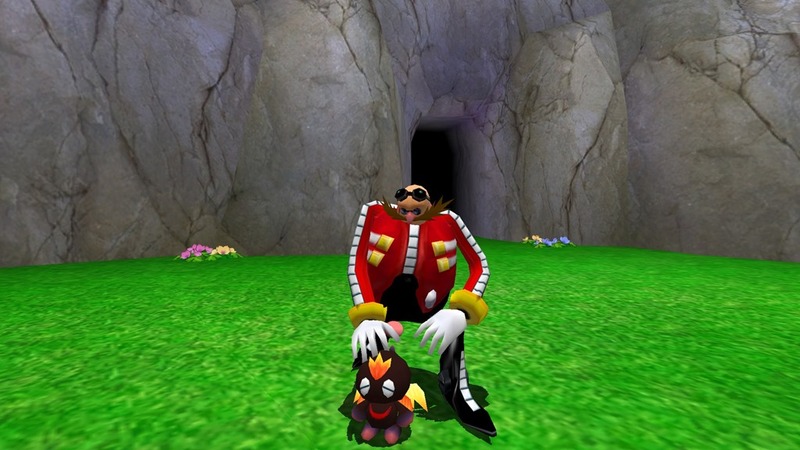 A standard story about yet another plot by Eggman to take over the world quickly takes a turn for the dark, with themes of government corruption, secret biological weapon experiments, quests for revenge, and child murder. The juxtaposition of cartoony animal people with more realistic humans and more serious storylines is jarring, and would unfortunately be a standard for the series for years to come. The saving grace of the story is the game’s often unintentionally hilarious cutscenes. Decent voice-acting combines with a poorly-translated script to produce mind-numbing and memorable gems, all conveyed with a passion and vigor it frankly does not deserve. It’s hard to get upset at the story when every cutscene leaves you in stitches. Outside of the main story campaign, SA2 also has a variety of other modes. There’s the Chao garden, SEGA’s ever-popular minigame based around raising adorable little creatures. There are a multitude of multiplayer modes (some only available in the Battle re-release of the game) including kart racing, 2P versions of stages, and a head-to-head fighting mode with little to no balance. Players can also replay different versions of stages with unique objectives to try and gain better goods for their Chao Garden. Overall, I am still quite fond of SA2. While I am somewhat beholden to nostalgia and rose-tinted glasses, I still find myself charmed by the game’s silly dialogue and fun gameplay. It was the best Sonic game to be released for years to come, one of the few games of that era I can still go back to and enjoy in the same way.